You can create and rename folders from your account or any supported website. 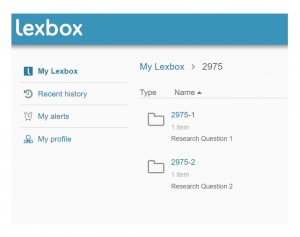 Whether you organize your folders by file number, client number, or year, Lexbox can lists folders either according to the date of creation or by name. For example, you can have folders created and organized by file number, or have folders created by area of expertise and list them chronologically. At the folder level, you can easily add notes to provide context for when browsing your folders’ list. 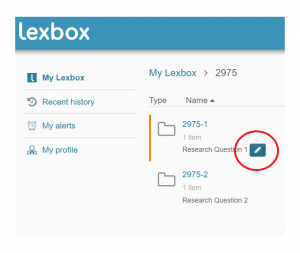 Lexbox enables you to generate a properly formatted list of authorities in Word format from the content of any of your research folders. Learn more about this from a previous Lexbox tip here.